If 2013 was “The Year Music Failed to Blockbust,” 2014 so far feels like the year in which pop isn’t even attempting to turn out blockbusters. After seemingly every significant star of the past several years put out an album in ’13 — from Justin Timberlake to Kanye West to Jay Z to Katy Perry to Drake to Lady Gaga — the past five and a half months have been conspicuously lacking in star power. Think Steven Soderbergh following up Ocean’s Twelve with Bubble, and you have a decent approximation of what’s happened in pop music lately. Now, it’s true that some heavy hitters have topped the charts so far in ’14, including Coldplay, the Black Keys, Rick Ross, Eric Church, and Bruce Springsteen. But even if you toss in that self-titled Beyoncé record that dropped in December (it was the country’s no. 1 LP for the first two weeks in January), nothing released this year comes close to matching the dominance of the Frozen soundtrack, which has been our top-selling album for 12 of the past 24 weeks. Once again, it seems as though the most successful pop is really just a “lifestyle condiment” accompanying other media. Maybe you’ve already noticed this, but I’m guessing you probably haven’t. If the dearth of notable, buzzy, and conversation-starting albums in 2014 can be truly considered a “problem,” it only affects record-industry employees and people, like myself, tasked with writing about music that people are supposed to care about. I’m telling you, it’s been hard out here for a music critic this year. Determining what exactly that music is seems more difficult than ever. But, again, yadda yadda yadda, turn the page. When it comes to good (as opposed to broadly relevant) music, 2014 is basically like every other year: There’s a ton of it out there. Some of it has found an audience, while the rest could definitely use a little push. So, in the interest of constructive pushing, here are 17 musical things from the first half of 2014 that stood out. According to my iTunes, I’ve played “An Ocean in Between the Waves” by the War on Drugs 49 times so far this year. This seems impossibly low. You could probably add another 20 spins on various streaming services, plus another 10 to 15 plays on my CD copy of the brilliant Lost in the Dream. Also, “Ocean” is more than seven minutes long, which is twice as long as the average song, so each play should really count twice. If I were to count how many times I listened just to the blazing guitar solo in the song’s back half — or rewound that part around the six-minute mark when Adam Granduciel lets out an impromptu “Woo!” — I’d probably have at least 25 more spins. At any rate, this song is good. If the “most played album” category pertained only to records that are at least 30 minutes long, it would be a too-close-to-call fight between Lost in the Dream, Modern Baseball’s You’re Gonna Miss It All, and Parquet Courts’ Sunbathing Animal. But time is only a number, so I’m going with Tony Molina’s Dissed and Dismissed, which clocks in at 12 tracks totaling just over 11 minutes. A perfect bite of crunchy power-pop goodness (like Minor Threat trying to make a Teenage Fanclub album), Dissed has been a palate cleanser for me during my daily listening regimen. No matter how good or not good what I’ve just played is, Tony Molina always makes my head (and ears) right. Putting tracks in the best possible order is an underappreciated art. The age of downloads and stream-what-you-want music was supposed to put an end to albums as purposely structured statements. But My Krazy Life by Compton rapper YG, thankfully, dispels this notion. Particularly in the album’s first half, from “The Put On (Intro)” up through “My Ni**a,” My Krazy Life just moves remarkably well, dispensing about 20 minutes of music in what feels like a quarter of that time. Along with being swift, “I Just Wanna Party” and “Bicken Back Being Bool” also expertly set the scene for YG and musical cohort DJ Mustard’s cinematic depiction of South L.A. as both a battleground and a hedonist’s haven. 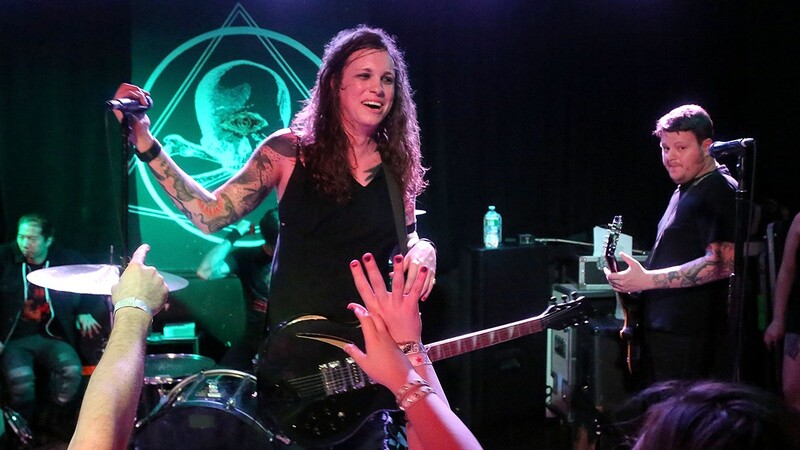 Talking about Against Me!’s Transgender Dysphoria Blues strictly in terms of Laura Jane Grace’s transition would be a disservice. You could ignore her lyrics and backstory and appreciate TDB purely as one of the hookiest (and angriest) punk records of recent years. But of course Grace’s inspirational personal struggle and venomous lyrical confessionals are impossible to ignore, delivered as they are via strident vocals and an ineffable fighting spirit that demand to be heard and felt. Put the music and Grace’s words together, and you end up with knockout anthems like “True Trans Soul Rebel,” where the half-year’s most blindingly shiny guitar riff somehow harmonizes with the bitter saltiness of lines like “Does God bless your transsexual heart?” Arriving during a pivotal moment in American culture when transgender citizens are more visible than ever, Transgender Dysphoria Blues feels like a watershed. Overall, Atlanta rapper Future’s latest LP, Honest, is a mixed bag of jewels and junk, with two songs acting as outliers on opposite ends of the greatness spectrum. On the positive side is “Move That Dope,” a slinky smuggler’s blues with knockout, scene-stealing guest turns by Pusha T and Pharrell Williams. On the negative side is the regrettable “I Won,” where Future and Kanye West discuss the merits of their respective celebrity S.O.’s as “trophies.” The former is Future at his pop-rap height; the latter highlights a new strain of distressing megalomania. When his career forks, here’s hoping Future chooses the correct path. Tuareg “desert rock” ensemble Tinariwen has been putting out hypnotic, spacious guitar records (both on proper labels and on handmade tapes traded throughout the Sahara) since the late ’70s. Before making this year’s characteristically excellent Emmaar, the group was targeted by an extremist Islamic group in its home country of Mali for making “Satan’s music.” Most of the group was able to flee to the United States, but band leader Abdallah Ag Lamida was captured. (He was trying to rescue his guitars at the time.) Ag Lamida was eventually freed, but the rest of the group recorded Emmaar without him. So, yeah, no band is allowed to complain about so-called “creative differences” ever again unless a kidnapping is involved. I love to be proven wrong, particularly when it comes to an artist that I haven’t been able to connect with previously, because life is short and liking music is always more fun than not liking music. 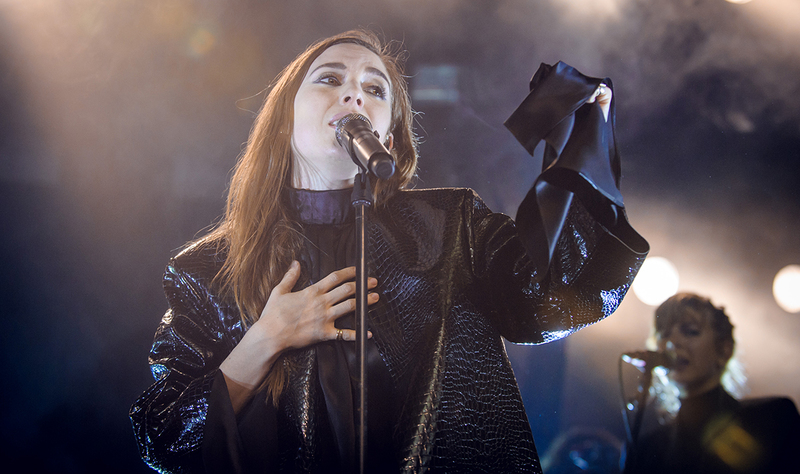 My most enjoyable recent about-face occurred with Swedish singer-songwriter Lykke Li, whose new album, I Never Learn, is the most sweeping and evocative pop album of the half-year. Lyrically, Learn is a gloomy breakup record, but musically it’s blown out with the outsize and irresistible romanticism of classic power-balladry, setting Li’s icy vocals against gorgeous pocket symphonies made of glistening guitars, booming drums, and an endless supply of heartsick woe. Writing about Pharrell Williams’s G I R L upon its release in March, I parceled out this bit of backhanded praise: “On its own terms, the record succeeds in achieving Williams’s ambitiously populist (though creatively modest) goals.” Now, I don’t think I was wrong about that. But G I R L has held up better than I guessed it would. Besides, how can you muster even a modicum of resistance to Pharrell Williams? I sincerely hope G I R L’s latest single (and best overall song), “Come Get It Bae,” has even a fraction of the impact that “Happy” did. Future Islands’ latest album, Singles, is pretty good, and the lead-off track, “Seasons (Waiting on You),” is quite a bit better than pretty good. But (at least) in the small corner of social media that I’m forced to inhabit as a rock critic, I saw more than my share of “ZOMG! The lead singer of Future Islands danced weirdly on Letterman it was amazing!” coverage this spring. I guess this proves, once again, that inside every awkward music writer there’s an awkward singer trying to get out. Admittedly, I am a huge Hold Steady homer. But I thought the Brooklyn band’s latest, Teeth Dreams, registered as a real comeback after several years in the wilderness. The most polarizing aspect of Teeth Dreams is the production — it was done by Nick Raskulinecz, who has done a bunch of Foo Fighters records, and Teeth Dreams sounds a lot like a Foo Fighters record. This, in my view, is not a negative. Teeth Dreams is a killer guitar album. My theory is that people who play it exclusively on headphones will like it less, since it sounds a bit bright when heard up close; those of us who own cars and can play it with the addition of wind and traffic noise have a 50 percent better chance of enjoying the record. I remain a sucker for songs that remind me of people and places that could exist where I live in Wisconsin. My first pick is “Chris Isaak” by Ohio-born country rocker Lydia Loveless, which opens with a digression about how that PDQ parking lot classic, Metallica’s Ride the Lightning, marks the amount of time it takes to drive to and from some dude she’s into’s house. My second pick is “Give Me Back My Hometown,” by Eric Church, because an important plot point involves hanging out at a local Pizza Hut. Perhaps this could be construed as product placement, but similar to how all of the characters on Friday Night Lights congregate at Applebee’s, it is an accurate representation of the limited restaurant options in the middle of nowhere. Protomartyr’s second album, Under Color of Official Right, is set in the band’s hometown of Detroit, evoking the city via darkly funny post-punk horror shows like “Scum, Rise!,” a pleasant ditty about a sports bar destroyed by a terrorist’s bomb. Live, Protomartyr is like a dirtbag redux of the National — singer Joe Casey affects a bored, regular-schmo anti-charisma in front of a guitarist who looks like a member of Real Estate, a bassist who looks like a member of Govt. Mule, and a tireless drummer who somehow holds it all together. Last year I went to bat for Sunbather by the Bay Area black-metal band Deafheaven, a group many black-metal fans would say isn’t really black metal because (1) Sunbather occasionally sounds like Ride, (2) Sunbather has a pink album cover, and (3) people like me love it. In 2014, I’ve really enjoyed two albums that similarly “soften” the black-metal template with reverb-heavy, early ’90s shoegazer-style guitar heroics. Actually, French metal band Alcest hardly seems metal anymore in the aftermath of the very pretty Shelter, which is problematic only for people who actually care what “metal” means. Anyone who just likes gorgeously orchestral rock music, however, should dive in. Australian outfit Woods of Desolation hits closer to Sunbather’s mix of evil and beauty on the overpowering As the Stars, with wave after wave of pummeling, soul-stirring guitar crescendos and banshee screams finally achieving a Zen-like calm. Speaking of Australians, 26-year-old slacker-genius Courtney Barnett put out The Double EP: A Sea of Split Peas digitally last fall, and then re-released the record on CD and vinyl earlier this year. Thank goodness for physical media, or else I might never have discovered Barnett’s funny, sneaky-sad songs about bad relationships and half-bad drugs. Oldsters will appreciate her connection to ’90s rock — particularly Liz Phair’s deadpan Exile in Guyville period and Pavement’s later, more classic-rocky work — but Barnett stands apart as one of the finest young singer-songwriters in the game right now because every last one-liner feels specific to her own bloodshot, cloudy-headed existence. So named after one of the more pleasurable guitar-pop records of the mid-’90s, in reference to the new Philadelphia band Beach Slang and its wonderful debut EP, Who Would Ever Want Anything So Broken? If you’ve been waiting (as I have) for “Long Way Down” to finally influence a new generation of bands, your day has arrived.